This complete small modular building offers a living room, a kitchen room, a bedroom and a separate bathroom. 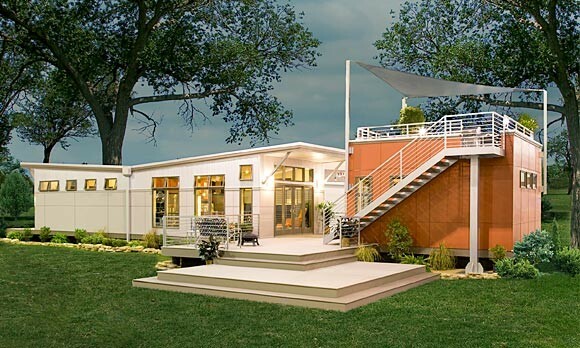 The house fits on semi truck trailer and can be transported just about anywhere. The 280 SF modular unit come with all the essentials appliances. It is pre-plumbed, pre-wired and ready to plug in. 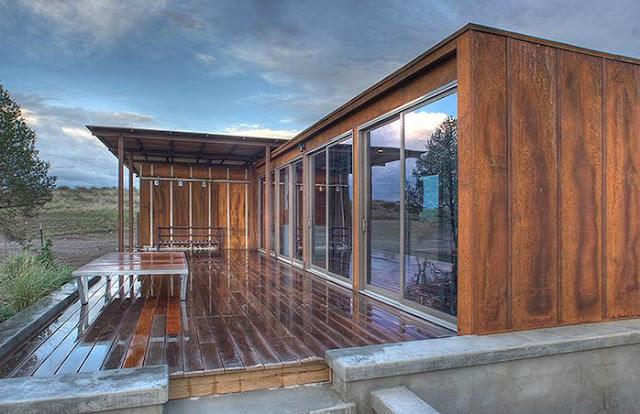 This 440 sq ft prefab home serves as a simple retreat space on the beautiful remote area outside an arts colony in Texas. It is the first of three prefab modules that are planned to install for the site. The module installed complete with an outdoor shed and a fully finished exterior and interior, leaving only sun-shielding canopies, decks and utility hookups to be assembled on-site. This round prefab Energy Star home is the first Energy Star efficiency program qualified house in British Columbia, Canada. Energy Star homes are more comfortable: cooler in the summer and warmer in the winter; save money on energy bills compared to structures built to standard code; are better for the surrounding environment, generating fewer greenhouse gases and using less energy; are 25% more efficient than those erected to minimum building standards. It’s similar getting 3 months of free energy use every maintenance year. Rising at 1,5 meters above the ground, this 185 sq.m. 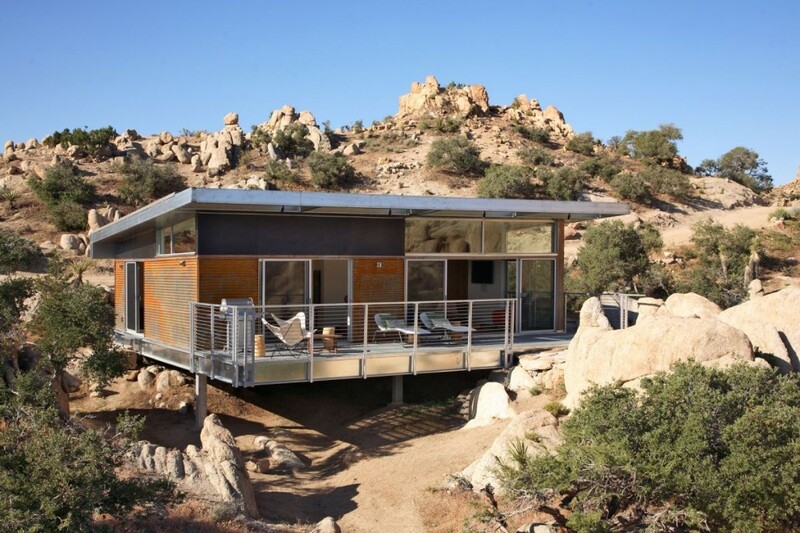 minimalist prefab modular house in California capturing the beautiful views of the surrounding desert landscape and Mount San Jacinto. 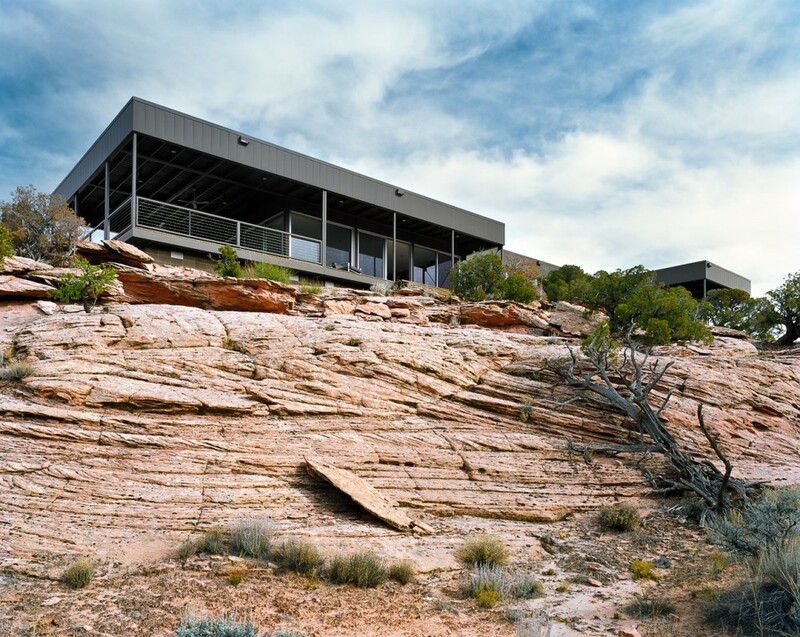 The main living space is designed facing west with the view of the local open landscape. 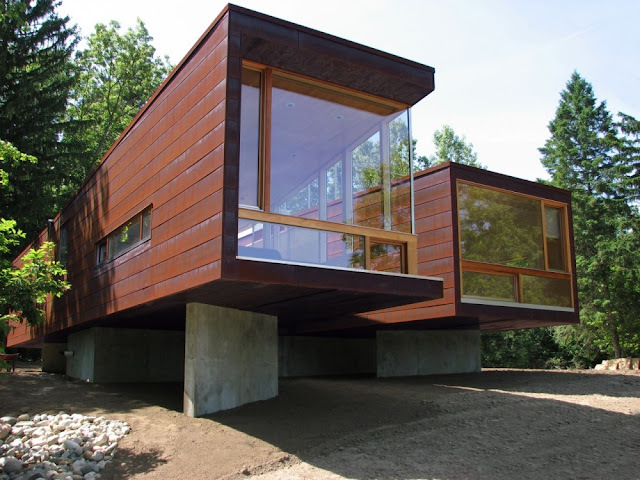 The structure was built using prefab modules and also consists of a metal frame which can be clad in glass, wood or metal. The architects used three different types of basic building modules: external modules for outdoor area of decks, modules that contain indoor living areas and modules to provide sun protection. 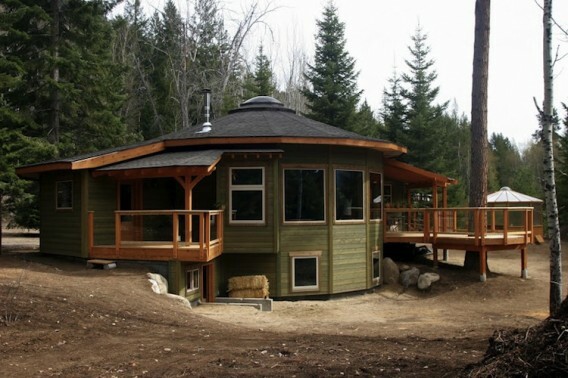 The prefab geodesic dome home design offers an easy and quick assembling of the structure. 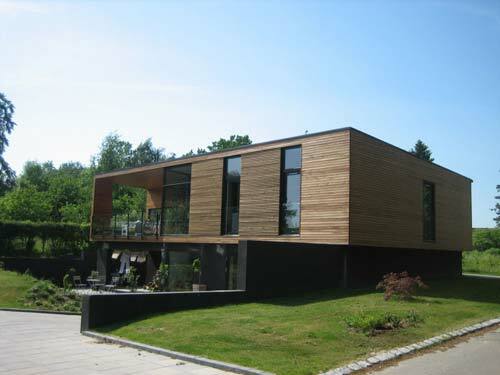 On a timber or concrete basic it takes only one day to raise the building which is made of quality materials: 3x6" and 3x4” timber in pinewood and plywood. All sections are pre manufactured and ready to assemble with nuts and bolts and the sealing with rubber or asphaltpaper. 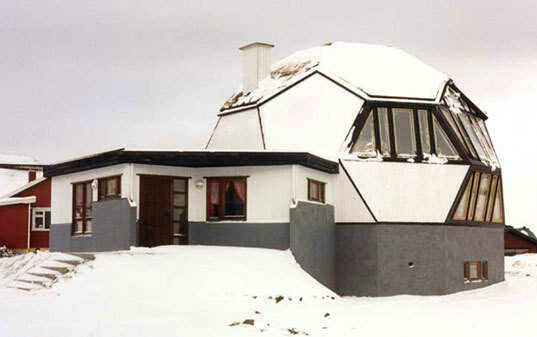 This prefab geodesic dome homes are certified and with quality and precision installation, meet international building standards and rules. Delivery is easy in container and lifting crane is not needed to build structures until 50 SF. The prefab domes are proposed as passive or low-energy solutions with eco friendly energy efficient technology in heating and electricity. 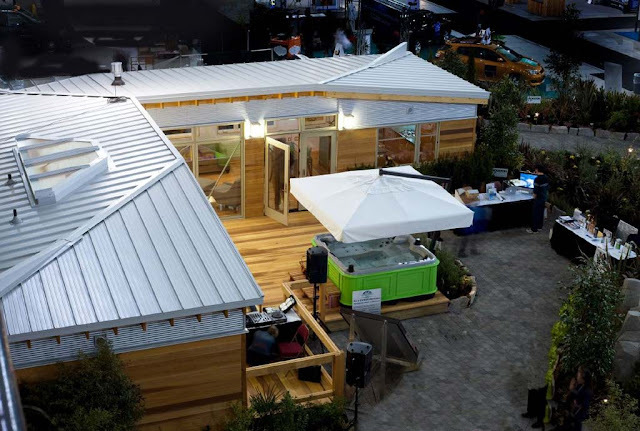 This eco friendly modular home was selected as the Feature Home by the Greater Vancouver Home Builders' Association for the 2008 Home & Garden Show. Energy-efficient windows and appliances, recycled materials and smart wiring mitigate the effect of the building's eco-footprint. The bedroom wing and living/kitchen room wing, linked at the main entry door and by the courtyard outdoor deck, provide multiple possible accesses to the deck - an integration of outdoor/indoor living spaces, including kitchen area, a spa with a canopy and potential for various seating configurations. Completed in 2010, this 2,300 sq.f. 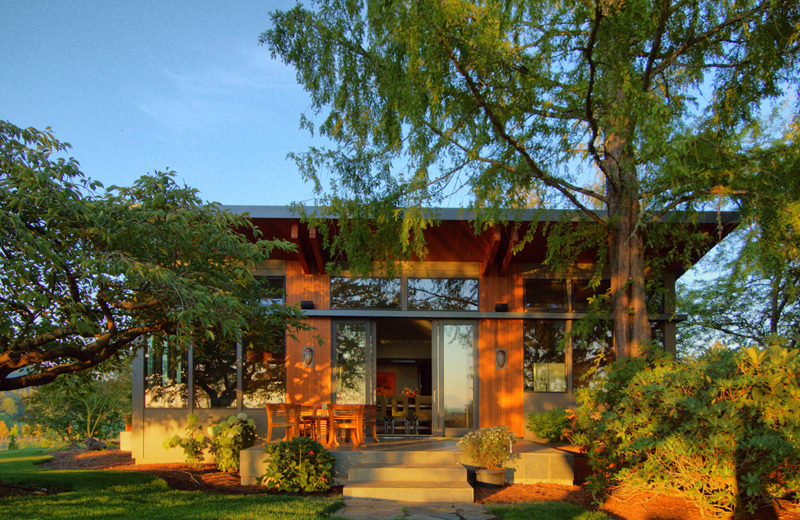 prefabricated home (Portland, Oregon) was assembled over an remodeled daylight garage/workout/office space below. 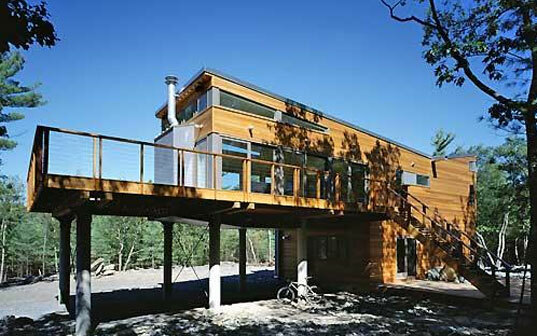 The largest room in the prefab home is over 12'6" tall, 17' deep, and 42' wide, with no interior walls. 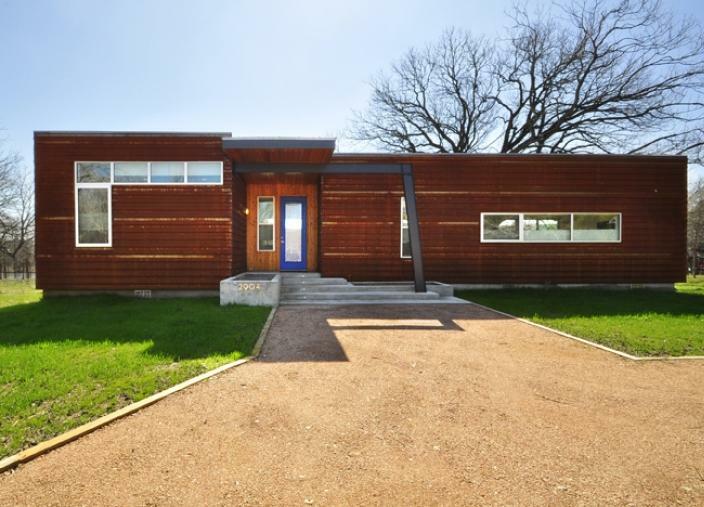 Inside, the prefab home is finished with custom porcelain and glass tile bathrooms, museum-quality lighting, teak hardwood flooring, super-insulated roof and walls construction and hybrid high-efficiency hot water heating. 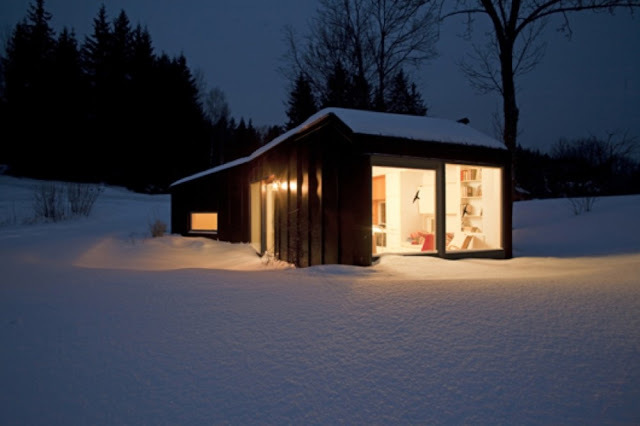 This small modular house is a concept from cooperation between Sweden and Denmark. The various modules can be connected in different ways to meet different needs and assemble a variety of designs, kind of lego structure blocks for adults. The house includes pergola and deck as well as possibility to link other facilities such as outdoor shower and outdoor kitchen. 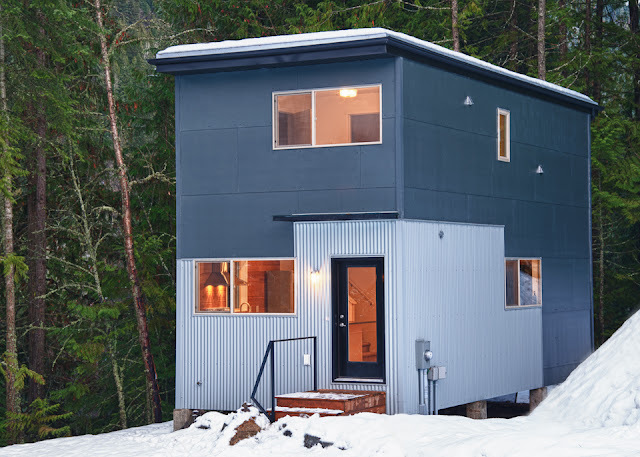 The small prefab home (Canada) is 624 square foot and is designed to be modern and open with large window and door openings to allow for outdoor/indoor living and a sense of spaciousness and lightness. 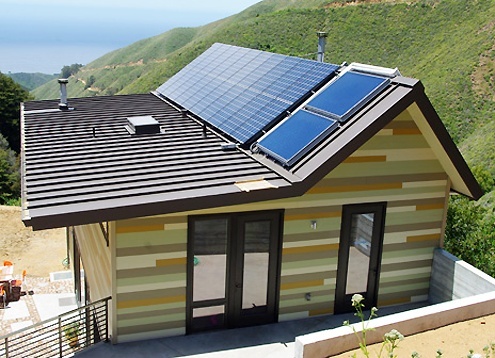 The off-grid green prefab home in California is designed to be self-sufficient, independent and closely connected to the nature, this prefab home is a pioneer for off-grid green housing in the region. The 2-story 2150 sq ft home is built with structural insulated panels. 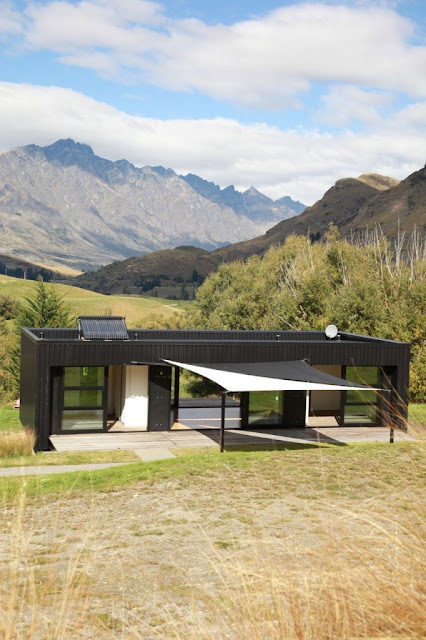 The off-grid green prefab home introduces faster construction time, less material waste, tighter building envelope, higher insulating properties and green finishes resulting in a lower life-cycle cost of the home. 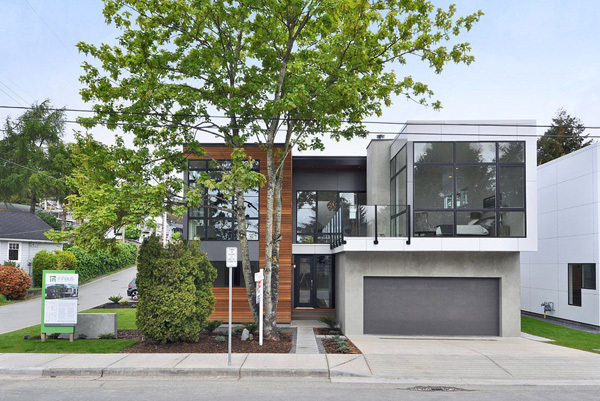 The first floor design emphasizes the strong relationship between the outdoor garden and patio with the indoor living/dining/kitchen/reading space. The 12 ft second floor plan includes two bedrooms connected by an office/studio and a bathroom. The prefab home prototype is a 50 by 20 ft. prefab home, including a living room, dining and kitchen room, bedroom and bathroom. The features include reduced ecological footprint through resource and water efficiency; improved indoor environment and air quality; adaptable, accessible and universal design to meet changing needs; inherent affordability – eligible for green financing, less costly to operate, lasts longer. 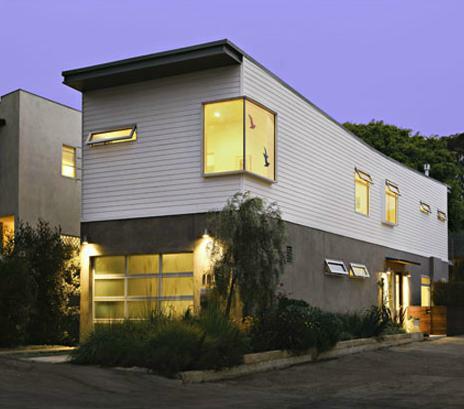 This four-module two-story narrow lot prefab house (Santa Monica) is 16 ft. wide and situated in 100 ft. by 25 ft. lot. In the first floor there is an open kitchen-dining-living space facing a courtyard with sliding glass door. The second floor contains an open office space, two bedrooms and a terrace over the courtyard. Due to narrow lot conditions there is tandem parking in the garage. 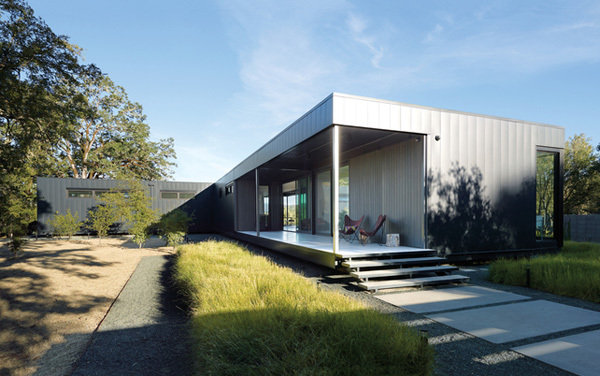 This modular weekend house in California is a minimalist simply structure with easily replaceable and low-maintenance materials like metal siding and concrete floors. 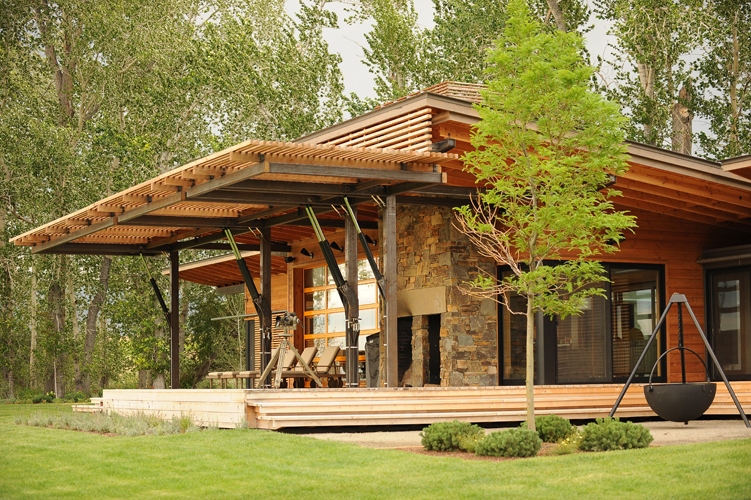 The covered porch offers entertaining area for outdoor activities and sun bathing. The minimalist interior space boast exquisite and chic atmosphere. 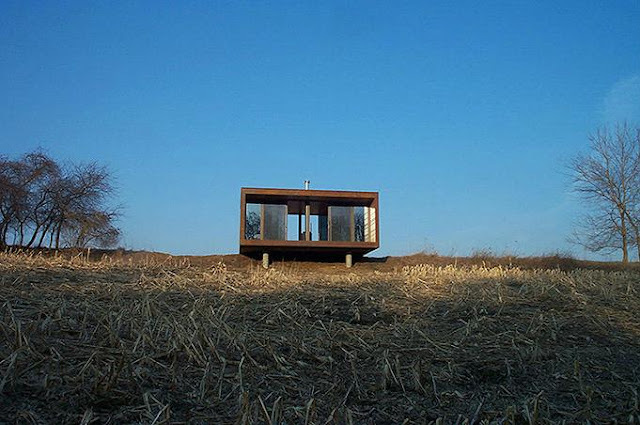 The Arado weeHouse is a small cheap prefab house built of wood and steel framed with oxidized steel facade. The interior space is decorated fir. There is a wood burning stove in the house for heating and cosiness during cold winter evenings. 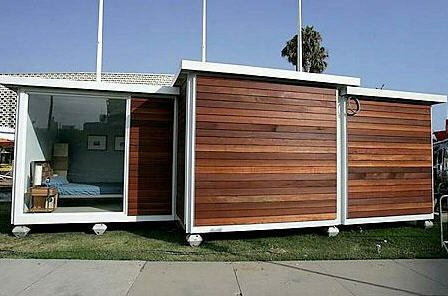 Its cheap, cool and sturdy enough to withstand hurricanes, earthquakes, tundra or desert. 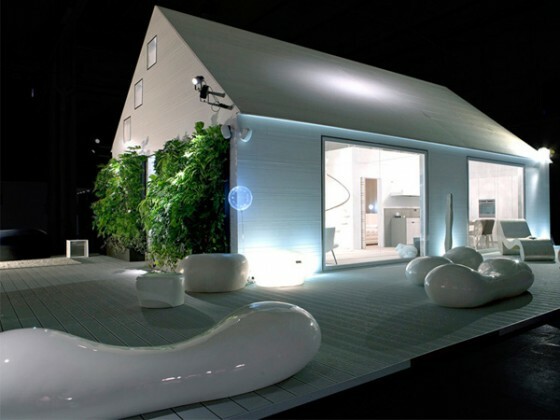 The LV Home Series prefab house kit are affordable, highly customizable and easily built. 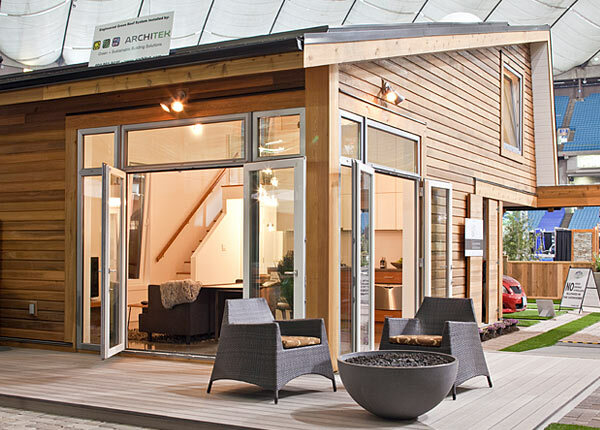 The manufacturers provide buyers with a kit of house parts that makes up the facade shell of the prefab home and can be delivered anywhere in the United States. The designers focus on producing strait-forward, quality, comfortable and elegant design that maximizes customer visual connection to the surrounding landscape while minimizing the footprint of the home. The modern prefab cabin is 1,811 square feet, named Method Cabin, consists of several modules such as multiple bedroom configurations, living/kitchen, bridge and bunk house modules. The modules can be configured to meet client needs or site restraints. 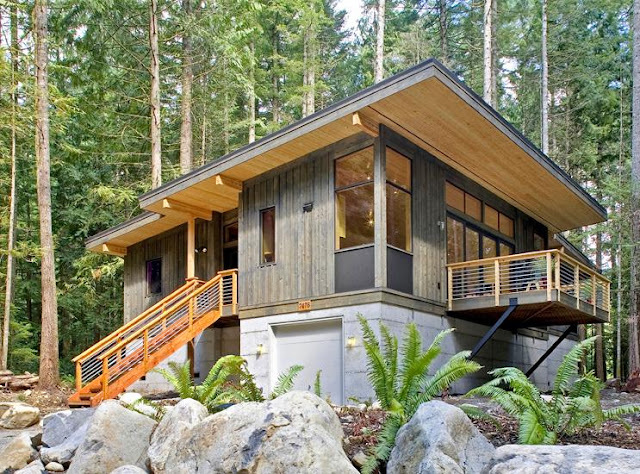 The modern prefab cabin features custom home architectural detailing and high quality materials. 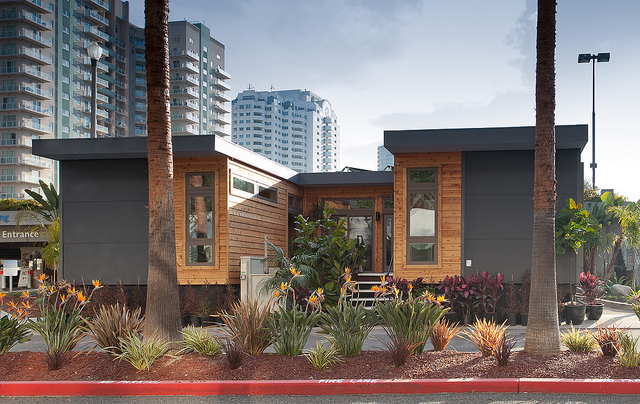 This prefab home (California) is located on an urban, narrow lot in Venice, USA. The home incorporates small courtyard space and covered decks, giving the building a sense of privacy in spite of its location on an built-on site. 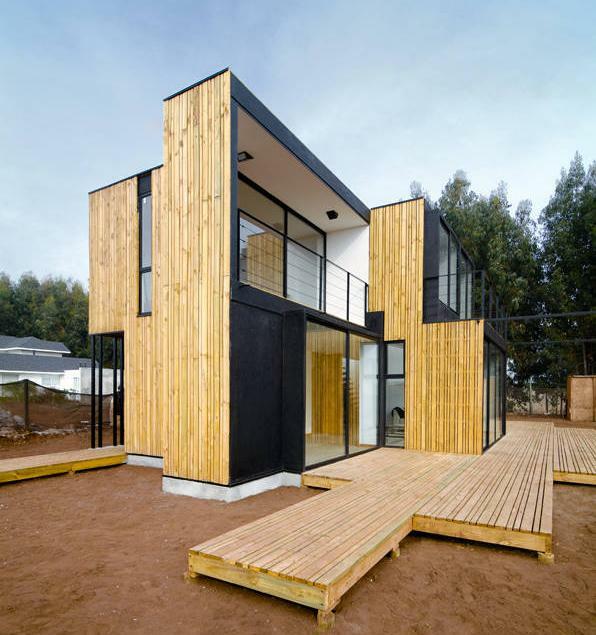 The 2,800 sqf 3 bedrooms house comprises of 14 modules and includes a living room/dining room, 2.5 baths, an office, a double height kitchen with an operable skylight and 700 square feet of outdoor living space. 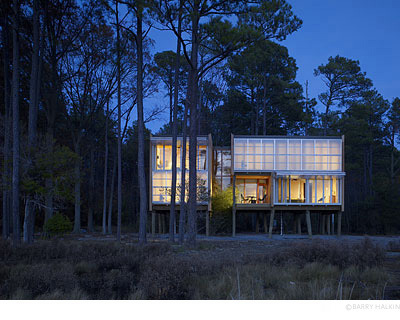 Large glazing on the southern side of the building fill the prefab home with natural sunlight and connect the exterior and interior spaces. The small prefab guest house was positioned strategically so that it would separate and organize functions that are different by their nature (access to the beach, original building, car park) and handle the diversity of its surroundings (garden, beach, meadow). 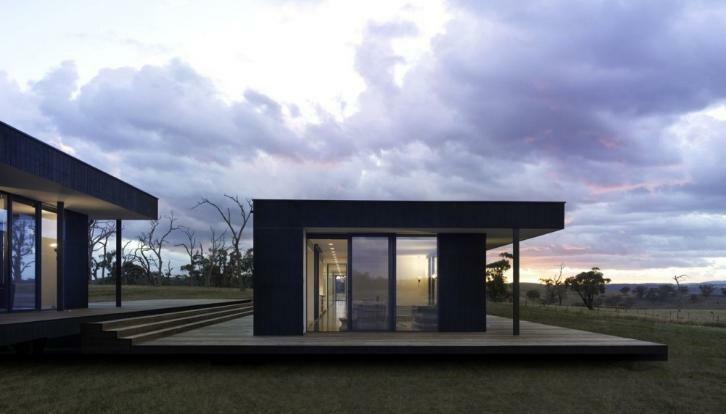 The 42 sqm small prefab guest house was constructed with a manufactured prefabricated wooden frame and assembled in one day.